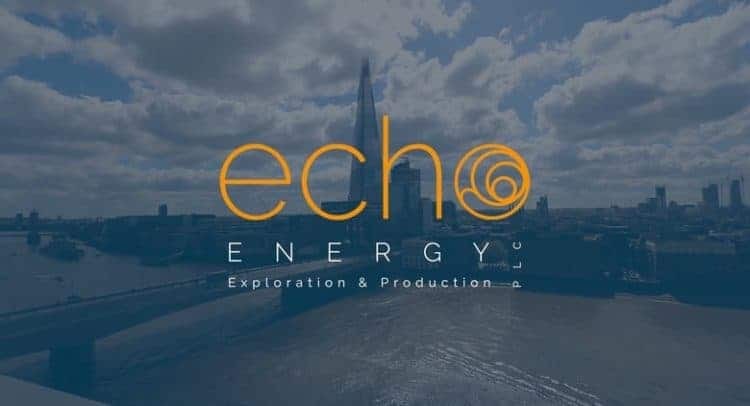 Echo Energy plc, the Latin American focused upstream oil and gas company, is pleased to announce a significant light oil column has been interpreted in its third well, onshore Argentina. The EMS-1001 well, located in the Fraccíon C licence operated by Compañía General de Combustibles S.A. (“CGC”), reached a total depth of 2460m in the Upper Jurassic Tobifera formation across which significant gas and hydrocarbon shows were recorded. Preliminary wireline log evaluation has now been completed, and a very significant hydrocarbon column has been interpreted between 1722m and 2220m in the Tobifera Formation. If hydrocarbon saturations across this section are confirmed, the preliminary evaluation might represent an interval of some 500m which could significantly open up the play for the area. A final production casing is now being run prior to suspending the well for testing and the Company now anticipates the arrival of the test rig to the licences in July following completion of its current work programme elsewhere in the basin. The rig will now move to CSo-111(I), the fourth well in this current exploration campaign, located on the Company’s Fraccíon D asset. Following the potentially material scale of the results of this third well, the Company (together with its partner) is now undergoing a review of the testing and forward work programme. “We are delighted that initial interpretation of our third well suggests a material and potentially transformational light oil column in the emerging Tobifera play of the basin, exceeding our high case expectations. We can already consider results for this well to date to be very encouraging from a volumetric and value perspective. Testing is the critical next step to establish the effectiveness and deliverabilty of the reservoir and we caution that any conclusions prior to test results would be premature. The Company will now take the time required to confirm the early interpretation of the wireline logs and design an effective test program with a view to confirming the scale of our new oil discovery. In the Tobifera interval over 120m of hydrocarbon shows and elevated gas of C1-C5 composition were recorded with gas peaks of over 50,000 ppm, as measured against referenced background gas levels of 3000-6000 ppm outside of the zone. The shows, gas readings and associated lithology encountered in the Tobifera led the Company to deepen the well by a further 210m compared to the planned total depth in two additional tranches. Not all of the column interpreted will produce hydrocarbons, with intervals of effective pay interpreted as being associated with the very elevated gas readings recorded over some 120m of the section. These are likely to correspond to zones of natural fractures in the formation, with additional potential from the interpreted hydrocarbon column likely to require fracture stimulation as is employed elsewhere in the Austral Basin. Initial assessment of the fluid type is a light oil based on pressure data, and results are very encouraging, but the Company notes caution should be applied prior to testing of the well. In the shallower Springhill target, the well encountered over 20m of hydrocarbon shows. The shows in the Springhill target were associated with elevated gas with peaks of over 137,000 ppm, as measured against referenced background gas levels of less than 7,000 ppm outside of the zone and the Company is currently evaluating the effective net pay across the Springhill section encountered. It should be noted that Pre-drill Pmean gross prospective unrisked oil initially in place for the structure targeted by EMS-1001 were estimated at approximately 60 MMbbls for the Springhill Formation, (included in the recent Competent Person’s Report produced by Gaffney Cline & Associates). No resources were quoted for the Tobifera target as these were not evaluated or audited as part of the CPR process.